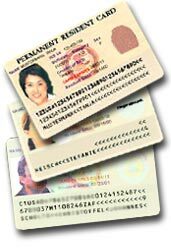 Do you qualify to enter the American DV-2020 Green Card Lottery? Natives from all other countries may register and apply for a USA Permanent Resident Card, also known as a green card in this immigration program, if they also meet the second eligibility requirement described below. If you were born in one of the non-qualifying countries in the table above, you may still be able to participate in the USA Diversity Visa Lottery based on the country of birth of your parents or spouse, click on More Information to see how you can charge your eligibility to either your spouse or parents country of birth. Natives born in the Gaza Strip are chargeable to Egypt for the USA Diversity Visa Lottery this year and should use Egypt as their country of birth. Enter this years Green Card Lottery, 55,000 Green cards will be awarded to successfull applicants.